At SeaWorld Orlando’s Inside Look, hear and see firsthand what goes into providing world-class animal care from the people who do it every day. Guests visiting on select weekends in January (12 and 13th, 19th and 20th, 26th and 27th) can go behind-the-scenes for an “inside look” at what it takes to maintain a premier zoological institution like SeaWorld Orlando. This truly first-time-ever access features six of the least seen and most interesting portions of the park. Guests are invited to visit all six locations, collecting stamps to earn an exclusive Expert Explorer’s Pin. Inside Look tours are available at each location at various times throughout the day. 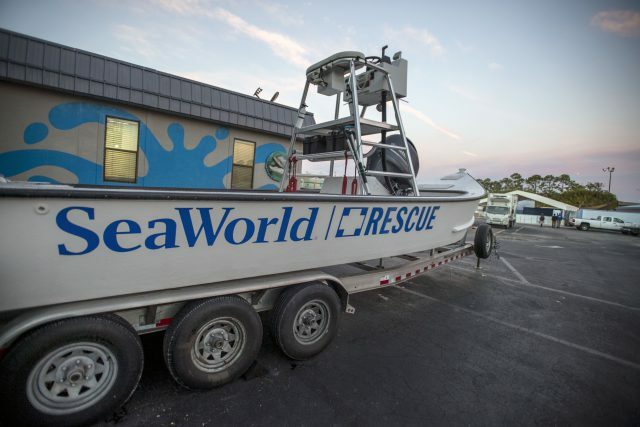 Fish House - Step behind-the-scenes into an area rarely seen by park guests to meet the dedicated team of ambassadors who start their day before sunrise to provide the best of diets for every fish, sea turtle, sea lion, penguin, dolphin, or killer whale in the park.